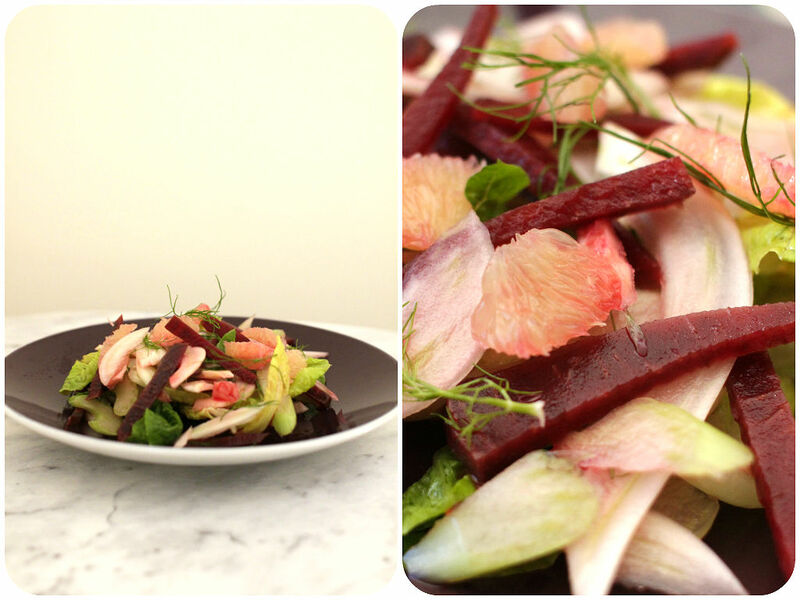 Beetroot and Fennel Salad – Beat the Bloat! I love having crunchy raw vegetables and simple dressing, ideal for Summer but challenging in Winter. Cooler weather always makes me crave for a warm soup over cold salads. Thanks to the beautiful Autumn weather in Perth, I can enjoy cool salads before it gets too cold. This salad is so refreshing and delicious. Earthy beetroot, aromatic fennel, crunchy celery and tart-sweet grapefruit all goes well together. On top of that, this salad is so good for your digestion. Bloating can be caused by a number of things – lack of exercise, types of foods you eat (especially gassy foods like meat, beans, cabbage, etc), an acidic diet which causes an unbalance between good and bad bacteria in your stomach. Well..if you experience bloating after meals, you are not alone. I can give you some tips here. Exercise at least 30 minutes a day. It also helps gas to move along the digestive tract & flushes out excess salt. No vigorous exercise after meals though. Drink more water, especially between meals. It flushes out excess salt and also helps with constipation which is another big factor in the bloat. Avoid gassy foods such as meat, cauliflower, cabbage, broccoli, etc. Take some supplements such as probiotics and digestive enzyme. Find a way to deal with stress – exercise, meditation or anything that makes you relaxed. Shave or finely slice fennel, beetroot and celery. Mix them with lettuce leaves and segmented grapefruit in a large mixing bowl. Add half of the dressing into a bowl and toss gently. Transfer to a serving plate and drizzle the rest of the dressing. Season with salt and pepper. It would go well with seafood like salmon or prawns.